One of the "tests" I've done is that I recently tried out Plated. Have you seen them? I first became aware of them awhile back, and have watched as they've grown. Recently, we were watching Shark Tank (one of our favorite shows), and there they were! Mark Cuban invested in them, and now they're a national company. The whole time, I'm pointing at the screen telling Bill, "That's the company I was telling you about!!" Lol! It's a pretty cool service - basically, you subscribe (read the fine print, know what you're committing to), and each week, or every other week, you get a shipment. You can login and choose your meals (plates), or you can let them surprise you. I'm not one for surprises, especially where food is concerned, so I went with picking my own. I placed my order, and on Saturday my box arrived. Inside the insulated box, were my recipe "cards"... full step by step instructions with photos. Handy! 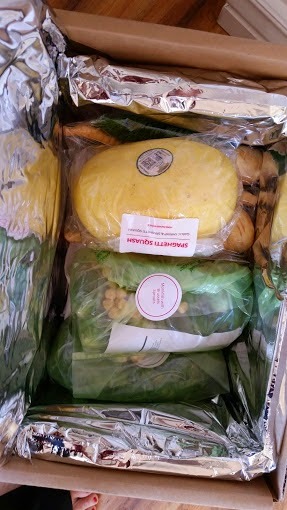 And each meal was packaged in it's own group, with the ingredients pre-portioned and ready to go. Pretty cool! Now, one of the factors that made me try them out was that Monkfish was on the menu... Have you ever seen monkfish? I've seen it made on a multitude of reality cooking shows, and I've always been fascinated by it... but terrified to try it on my own. 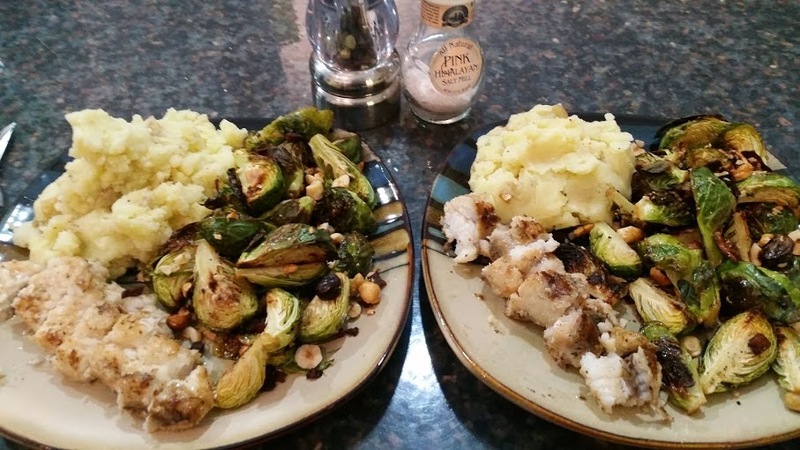 It's hard to find monkfish, so there's the hunting it down, then getting the right amount - and what if I mess it up? It's also not cheap, when you can find it. So when I saw it available - with a recipe and all the necessary ingredients, for just $12 - I had to try it. My plate looks just like the photo... so far so good! Results? Well, I think after this last week, that my oven must run really hot - none of the cooking times in recipes I've tried have been right - way too long! So... my pancetta brussel sprouts burned, booo! But... the potatoes were fine, and the monkfish was good - to be honest, it tasted like a fishstick. You know, the ones you grew up with that you toss on a cookie sheet and bake? Like that. The fish wasn't breaded, and seasoned only with sea-salt and pepper - but it tasted just like a fishstick. Odd, but there you have it. 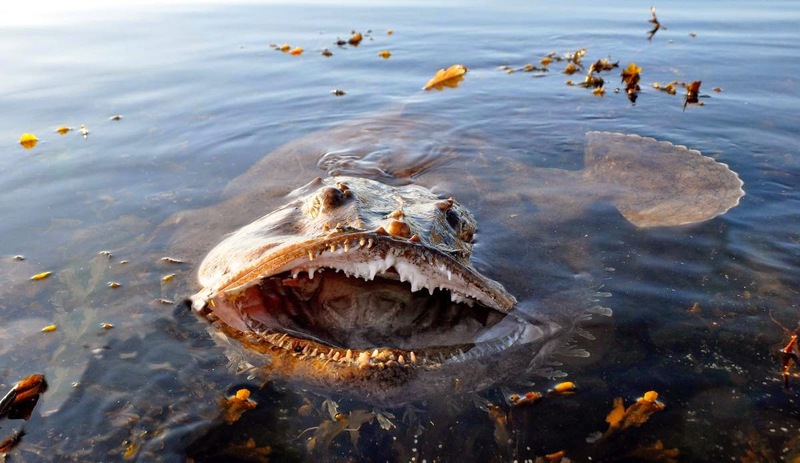 Monkfish: One ugly bugger! Lol! Bottom line is that I'm glad I got to try it, but it didn't wow me. I still have two more dinners to make from my Plated order - one is a shrimp with spaghetti squash, and the other is a chicken with parsnips & carrots. I'll let you know how those go. Why I like Plated: it's great for folks who are busy, but enjoy cooking. Everything is in the box, all I had to do was clean, chop, and cook. No grocery shopping. 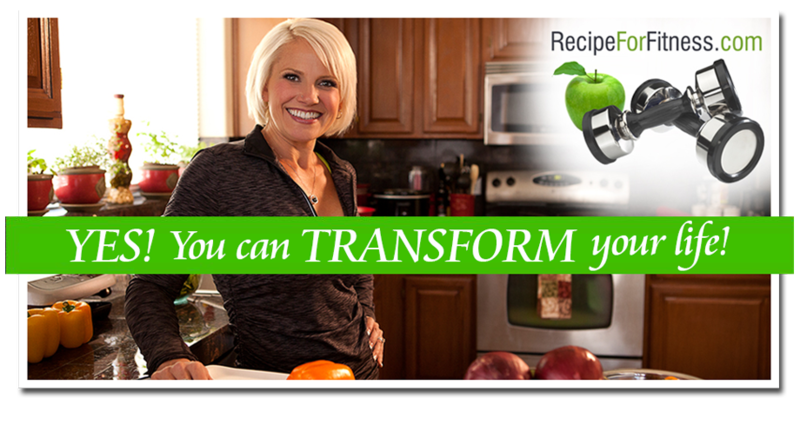 The recipes are visually appealing, and the instructions are super easy to follow. The service also allows the home cook to be more adventurous than they might be otherwise - ie my Monkfish fear. Additionally, they're "green". Meats have no antibiotics or added hormones; seafood is domestic and sustainable sourced; and produce is fresh, seasonal, and hand picked. The box itself is 100% recyclable and biodegradable. What I didn't like: the seasoning is very bland and simple. That's great in that you can put your own twist on it, but for someone who is more comfortable following direction than innovating, they'll end up with a dish seasoned only with salt & pepper. 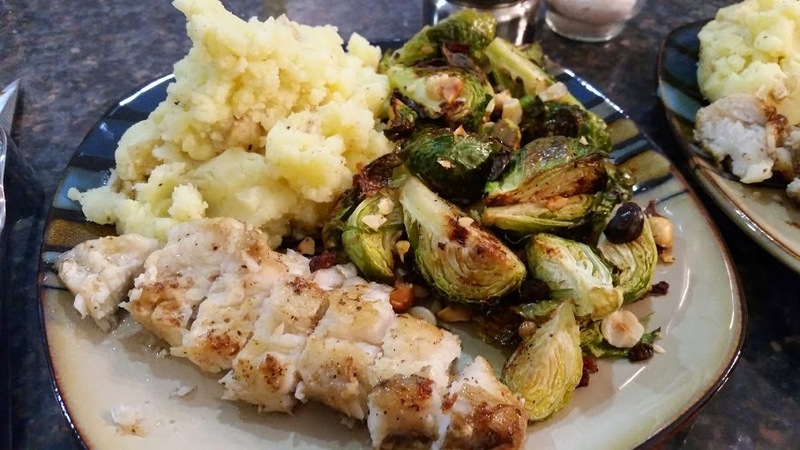 For me, the monkfish recipe didn't have enough flavor as written. What's the pricing like? It runs about $12/plate - and a plate is 1 serving. That said, minimum order is 2 plates per recipe. So if you want to try the Delicata Squash recipe, you have to order 2 plates of it. That's a drawback, in my opinion, but that's how they do it. Compared to dining out, $12 is about right per plate, but you get the added benefit of cooking it yourself - controlling things like fats, sodium, and contaminates (if you have allergies or sensitivities). Will I use it again? First thing I did after my box arrived is set my account to skip the next week's delivery, then cancelled my membership. I signed up to give it a try, not get my bank account drained ;-) Their subscription is pretty intricate and you really have to read the fine print to know when they charge you, and what for. I'm not interested in getting charged and building on-site "credit", lol. That said, I don't see myself ordering again, but I'm very comfortable in the kitchen and developing recipes, testing and tweaking - that's my job, so for me, the service isn't a solid fit. And now with that said, I can, and do, recommend it to busy folks who like to cook but not shop for ingredients. 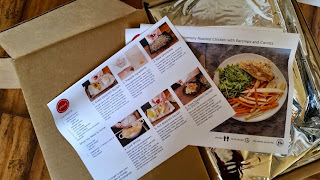 And there you have my unsolicited, non-compensated, and totally honest review of Plated. ;-) Have you tried it? What did you think?